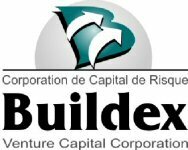 MONTRÉAL, QUEBEC--(Marketwire - March 8, 2011) - Buildex Venture Capital Corporation (the "Corporation") (TSX VENTURE:BUX.P), a Capital Pool Company pursuant to Policy 2.4 of the Exchange, is pleased to announce that its Class "A" common shares (the "Common Shares") will be listed and posted for trading on the TSX Venture Exchange (the "Exchange") on or about Tuesday, March 8, 2011. The Corporation's trading symbol shall be BUX.P. The Corporation completed, through Macquarie Private Wealth Inc. (the "Agent"), its initial public offering for 2,000,000 Common Shares, at an offering price of $0.10 per Common Share, the whole pursuant to a final prospectus dated January 27, 2011 filed with the securities commissions of the provinces of Alberta, British Columbia and Quebec. Following closing of the public offering, 5,800,000 Common Shares of the Corporation are issued and outstanding. In connection with the public offering, the Corporation paid the Agent a cash commission and granted the Agent an option entitling the Agent to acquire an aggregate of 200,000 Common Shares (the "Agent's Option") at an exercise price of $0.10 per share. The Agent's Option will expire 24 months from the date the Common Shares are listed on the Exchange. The gross proceeds received by the Corporation from the public offering were $200,000 and will be used, after deducting the expenses incurred for the public offering, to identify and evaluate a limited number of assets and businesses for the completion of a Qualifying Transaction, as defined in the TSX Venture Exchange Policy 2.4. Moreover, in the scope of the public offering, the Corporation has granted as of this day 50,000 stock options to each of Stéphane Beshro, Roger Boucher, and Paul Forest and 140,000 stock options to Pierre-Hubert Séguin and 290,000 stock options to Alain Larochelle, for a total of 580,000 stock options, the whole in accordance with the stock option plan of the Corporation. Each option is granted at an exercise price of $0.10 and is exercisable for a period of ten (10) years from the date of grant. About this company Buildex Venture Capital Corporation.